Garpel Estate has been in the same family since 1781 when it was acquired by John Macadam. 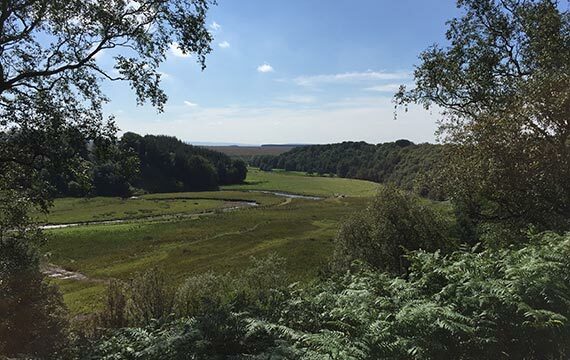 It extends to approximately 6,700 acres and is made up of a mixture of inbye pasture, woodland (some designated ancient woodland), bog/wetland and moorland. 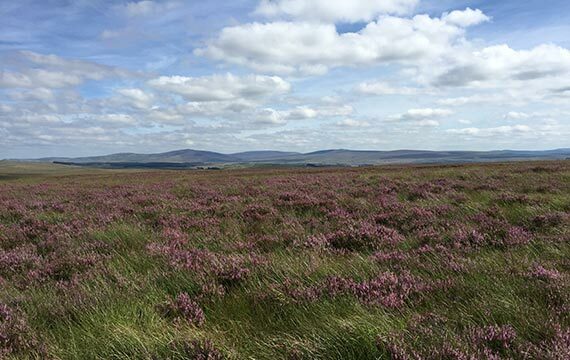 The estate is such a haven for wild birds that it has recently been designated a Site of Special Scientific Interest and a Special Protection Area for hen harriers, pergegrine, short eared owl and golden plover. 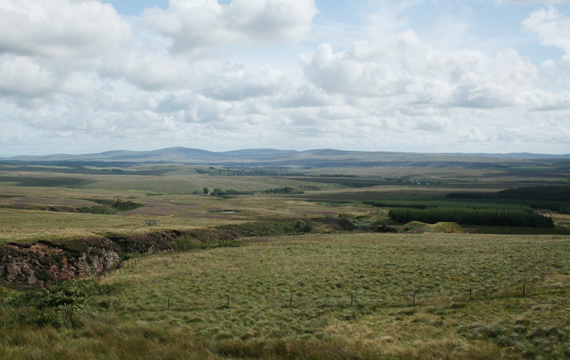 Airds Moss, which forms the southern part of the Estate, is a Special Area of Conservation for its peatland. Wild brown trout fishing is available on the Whithaugh Water to the front of The Log House, and the further up the burn you go, the wilder the trout are. Similarly, salmon fishing is available on the Rivers Ayr and Greenock through the Muirkirk Angling Association. This does however mean that when conditions are good (it is a spate river), the river can be quite busy with other fishermen. 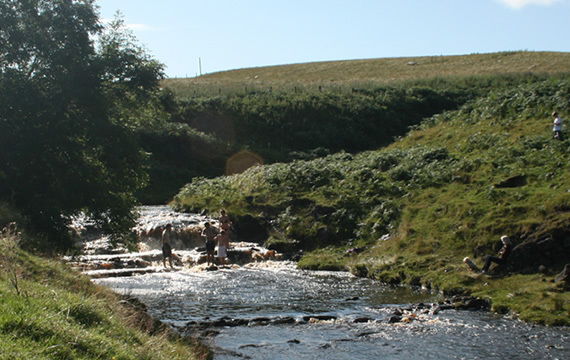 There are also plenty of other rivers to fish and if you want to make a day of it you can obtain a day permit for the Rivers Stinchar or Girvan, Ayrshire's foremost salmon and sea trout rivers, where you will get a beat to yourself. 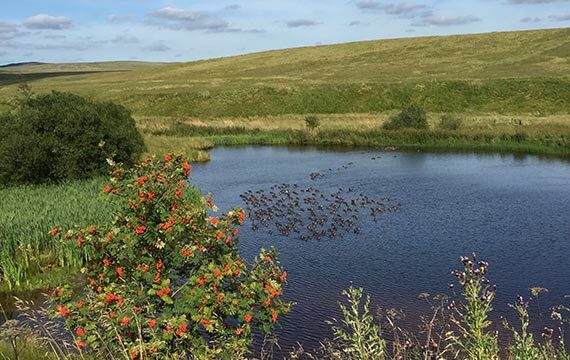 Loch fishing is available at any number of places in the locality, although the nearest is Glen Buck, which is the loch that forms the head waters of the River Ayr and lies approximately ten miles due east of The Log House. For some stocked lochs with some seriously large fish, try Cowans Law, near Galston, some 10 miles west of the Log House. Cowans Law can also organise clay pigeon shooting, archery, rifle shooting and quad bikes. 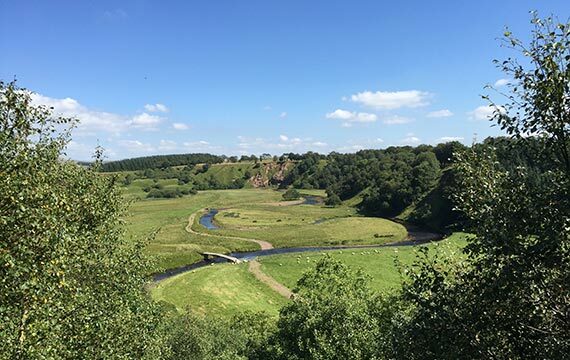 The upper reaches of the River Ayr Way, which runs some 20 miles from Glenbuck beyond Muirkirk to the coast at Ayr, extend through the estate. There are any number of walks on the Estate but a few of the favourites are detailed below. With the aid of an Ordnance Survey map, or the map below, you can combine parts of these walks as you wish, or make your own. None of these walks are marked and not all follow paths as it is open moorland. Dogs are not permitted during the lambing and nesting season, namely April, May, June and July and walkers are advised to stay on the bike tracks during these months to avoid treading on nests. This is really a continuation of Walk 1 where you carry on up the hill (nb there is no track) and head for the right hand hill keeping the river on your left (it peters out after a while anyway) until you will reach the march fence. Turn right/North and follow the fence up the hill until you can see a stone cairn. The views from the top of the hill/stone cairn can be spectacular - It is possible to see Arran and Mull of Kintyre on a clear day and possibly Ireland. Approx round trip - 3 hrs. This is straight down the road towards Garpel Farmhouse but taking a detour via the steep gully on the left hand side. There are numerous little waterfalls and it leads ultimately to what has always been known as "the swimming pool" - a waterfall leading into a large pool deep enough to swim in (say 5'). This is also a great spot to picnic. Approx round trip - 1 hr. This is a continuation of the track past The Log House, over the cattle grid, past the small farmhouse and steading (Nether Whithaugh) and on up the valley through various other gates to a derelict steading (Over Whithaugh). You can then carry on up the main valley until you reach a corrugated tin lunch hut, the "Lunch Hut", (another good spot for a picnic) or return via the river, although it does get very marshy in places (wellies essential!). Approx round trip - 3 hrs. This involves driving to the road end, turning right towards Sorn for about ¼ mile until you see a farmhouse (North Limmerhaugh) on the right and then parking on the road verge on the left hand side opposite. You can then cross the swing bridge and walk down the River Ayr and back along the top of the banks above for some good views of the valley. Approx round trip - 2 hrs. Leave the Log House and cross the burn heading due east. You will eventually reach a fence. Follow this southwards until you can see the wood on your left and then make for this. This is Chapelhouse Wood which extends to a prominentory overlooking a ruined Chapel and the River Greenock. Keeping the river on your right follow it east until you reach a gully and then head north to the skyline following the fence/stone dyke. Once on the skyline, you can either follow the fence round to the west until you see Over Whithaugh or carry on until you reach the upper reaches of the Whithaugh Water and follow this back to the Log House. Approx round trip - 5 hrs. 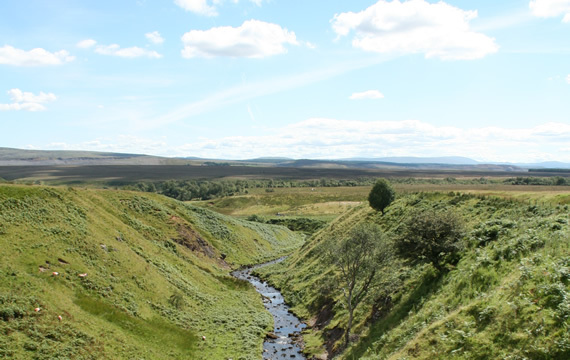 Off the Estate, another great walk is to the top of Cairn Table from Muirkirk or to the Sorn Inn along the River Ayr Way, a 2 hour one way trip with a pint or more at the end!